A tenant whose home was at the centre of drug dealing and anti-social behaviour allegations has been evicted and the property was closed down. Nurses, midwives and operating department practitioners (ODPs) are being invited to work for East and North Hertfordshire NHS Trust, but with the option to opt out of the NHS Pension Scheme in what has been called an “ill-thought out move”. The trust is campaigning to encourage more nurses and other workers to work for it directly instead of for agencies. It is now piloting a new option for band five and six nurses, midwives and ODPs who come to work for the trusts from agencies to receive the contributions that the trust would have made on their behalf to the NHS Pension Scheme. Thomas Simons, the trust’s director of workforce, said: “In addition to these flexible, enhanced pay options, the trust will be offering really flexible working patterns, different types of contracts, great training opportunities and excellent career progression. 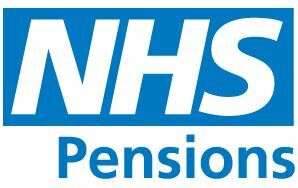 The salaries of staff who opt out of the pension scheme will be around 12.5% higher. Staff will have to take independent financial advice before joining the scheme and will be automatically re-enrolled in the NHS Pension Scheme unless they opt out every 12 months. Janet Davies, chief executive and general secretary of the Royal College of Nursing, said: “Like so many others, East and North Hertfordshire NHS Trust is facing a harsh financial reality and struggling to reduce its reliance on agency staff. “Nurses at the trust are no different to the thousands of other nurses across the country who are having to work additional hours for agencies in order to make ends meet. “Now the trust is suggesting these nurses forgo their pension contributions as a way of increasing their salaries to try to attract them away from agency work. She argued the proposals “could put nurses into poverty when they retire” and have “potentially serious consequences” for the long term-viability of the NHS Pension Scheme.